← The ICC in Syria: A Ticking-Time Security Council Referral? 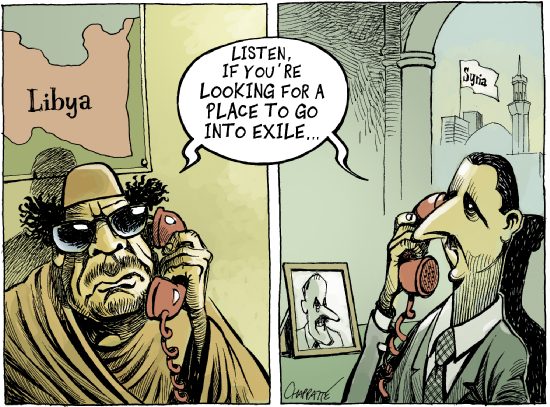 A fascinating and common trend amongst ‘Arab Spring’ states has been the use of imagery, particularly graffiti and cartoons, to denigrate bloodthirsty leaders, to express exasperation with repressive regimes, and to evoke hope for a different and altogether more peaceful life. 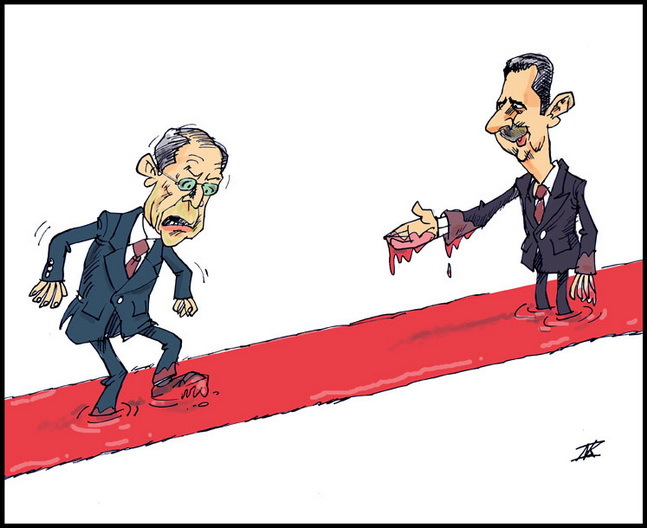 Many images often focus on and ridicule particular features or statements of the tyrants they are aimed against. Others celebrate the fallen, or act as reminders of the grievances at the root of the uprisings. In many cases, cartoons and graffiti are also small attempts to achieve an inkling of justice, to declare that a transition is underway, to boldly express a yearning for freedom of expression and to create public spaces where people can be reminded that their hopes are shared. Graffiti is particularly interesting. In Western states, graffiti is generally considered to be an act of vandalism, perpetrated by no-good, disenchanted youth. While certainly the case in some instances, there also are a lot of problems with this assumption. But what is quite striking is the divergent opinion given to the outside world. 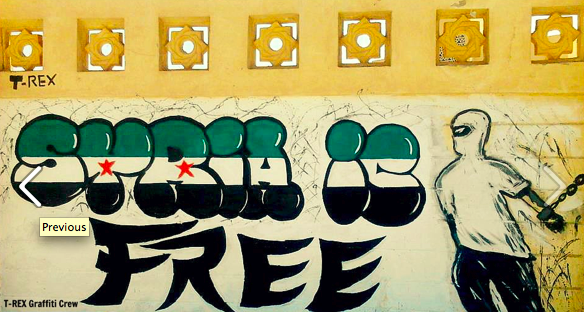 In those Arab states which have waged upheavals against their long-time oppressors, graffiti is rightfully being praised as a brave act of resistance. So, in one place graffiti is an act of disenfranchisement and misplaced rebellion, in the other an act of enfranchisement and freedom. Clearly, context matters. The fight over messaging through graffiti has even spread to Lebanon. This is perhaps unsurprising. 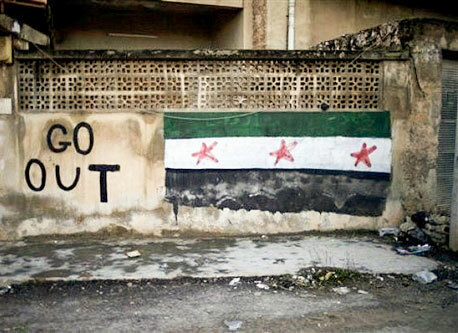 Some observers have suggested that it was the slogans and images depicted in anti-government graffiti that stirred and catalyzed Syria’s uprising. Then there is the story of Nour Hatem Zahra, the 23-year-old protestor, known as “the spray man” who spread messages of dissent through graffiti across Damascus. He was tortured and eventually killed by Syrian security forces. 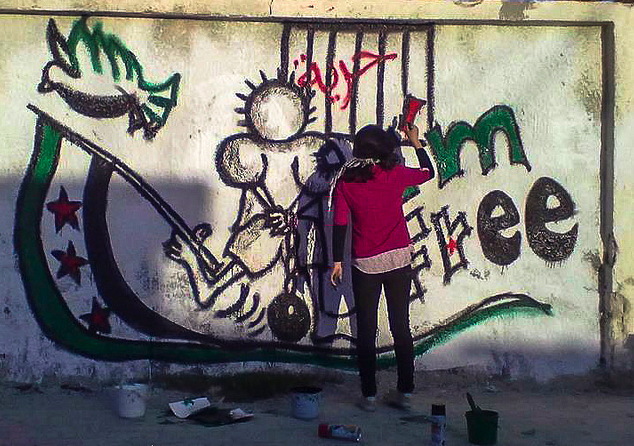 Celebrated by many as a martyr, Zahra’s friends and supporters created a Facebook Page called “Freedom Graffiti Week” in his honour. 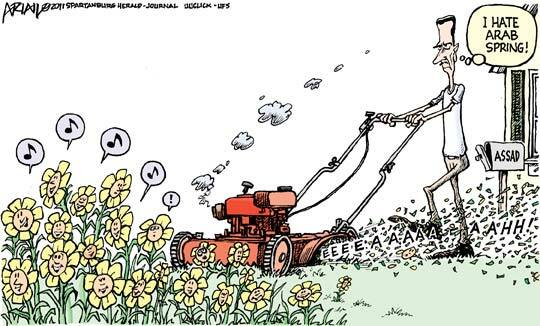 Despite the prevalence of cartoons and graffiti linked to the causes and dynamics of revolution, we still don’t know much about the aesthetics of the Arab Spring transitions. We have very little understanding of what it means to people to see their leaders vilified and humiliated through the use of graffiti or to be confronted by bold messages of resistance and hope sprayed across public edifices. But it appears that the world is catching up. It is increasingly impossible to deny the place of these images in the life-cycle of uprisings and revolution. 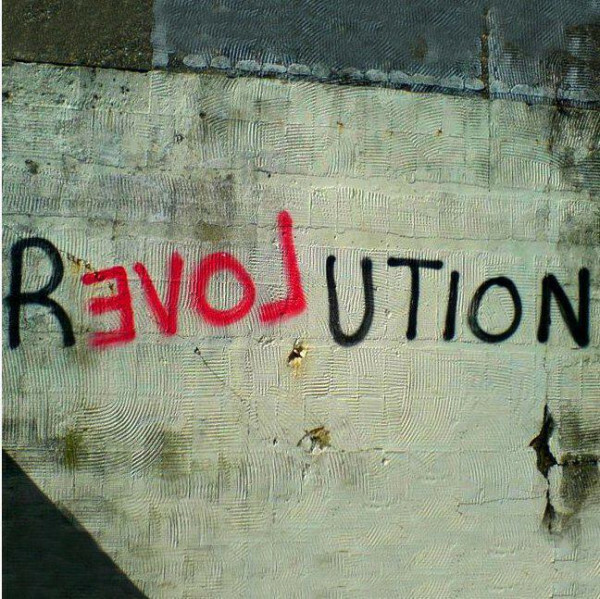 These mostly anonymous images and symbols are infectious and have real effects, becoming symbols of the revolution itself, a social medium that people can actually see and touch. 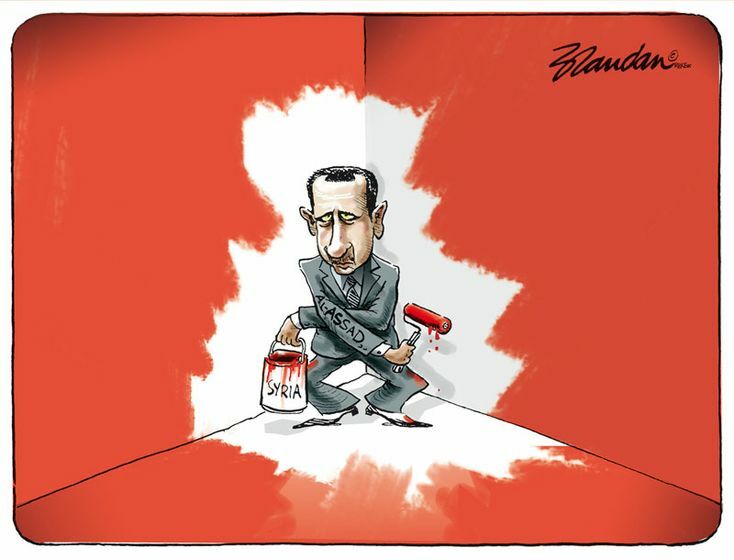 A year ago when Mr Assad famously declared that “germs” were causing trouble in Syria, echoing Colonel Muammar Qaddafi’s description, before his fall, of his opponents as “rats”, Syria’s protesters chanted, “Syrian germs salute Libyan rats!” In opposition-controlled areas taxi drivers and housewives sing songs telling Mr Assad to leave and mocking his brutal brother Maher as a donkey. 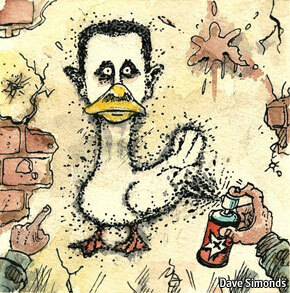 Mr Assad’s elongated neck and lisp have been a particular target of taunts. In “Top Goon: Diaries of a Little Dictator”, a puppet show series posted on YouTube, he trips over his words as he appears on a game show called “Who wants to kill a million?” Referring to the pet name the president’s wife, Asma, gives her husband, as revealed in a leaked e-mail, protesters recently used stencils to paint ducks and profiles of Mr Assad’s face side by side onto roads. “Duck, stop quacking! The Free Syrian Army is going to catch you”, runs another jingle. Rude slogans also ridicule Mr Assad’s proclaimed valour against Israel, which has occupied Syria’s Golan Heights since 1967. “Bashar, you coward, take your dogs to the Golan!” Another jeer scoffs at a much-displayed official billboard of Mr Assad and his father, who reigned for 29 years before him, that declares they will rule “until eternity”. “No to eternity! 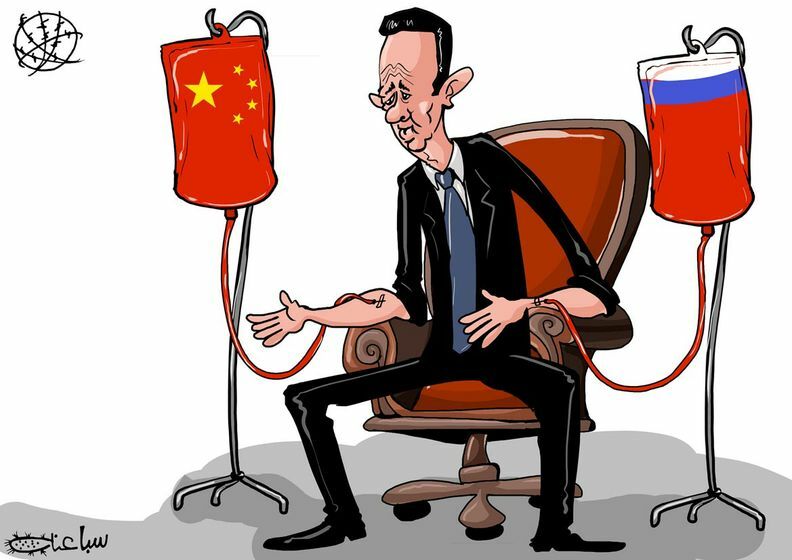 No to eternity!” riposte the protesters.“Syria will live! 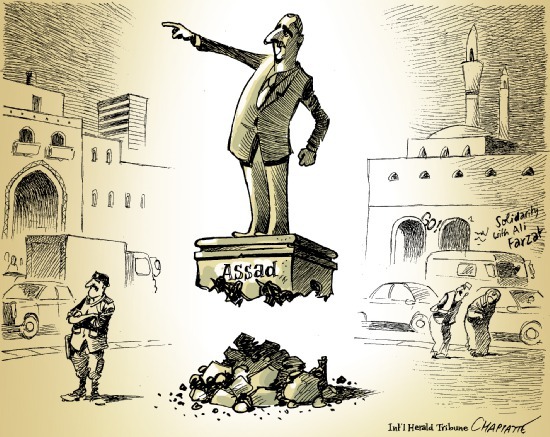 Assad will die! 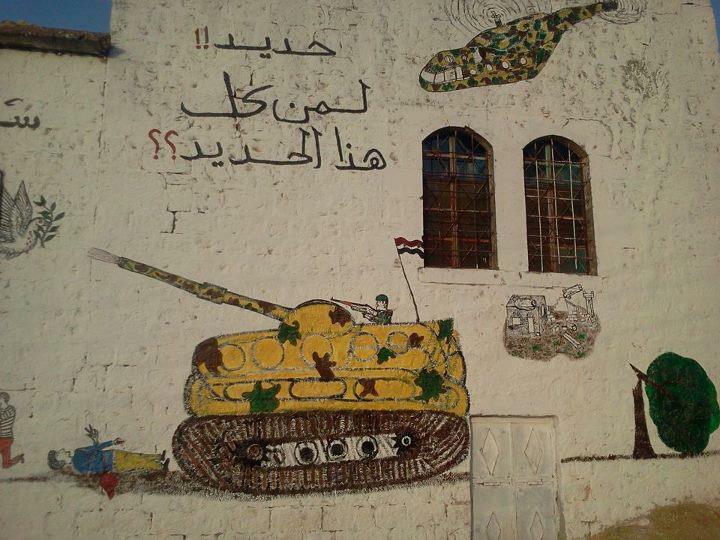 Much as I did in an earlier post on graffiti and transitional justice in Libya, I have selected some of the most striking images of graffiti and cartoons depicting the situation in Syria. Notably, not all of the images are from Syria but they are all nonetheless evocative. They constitute the iconography of a people agitating against their oppressors and for a better life. 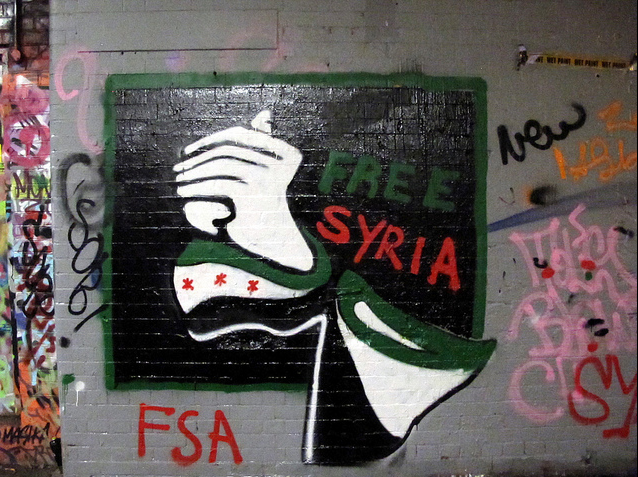 All offer a unique glimpse into the struggle for justice, human rights and freedom in Syria. Many thanks to James P. Rudolph for his assistance in locating some of the above images! 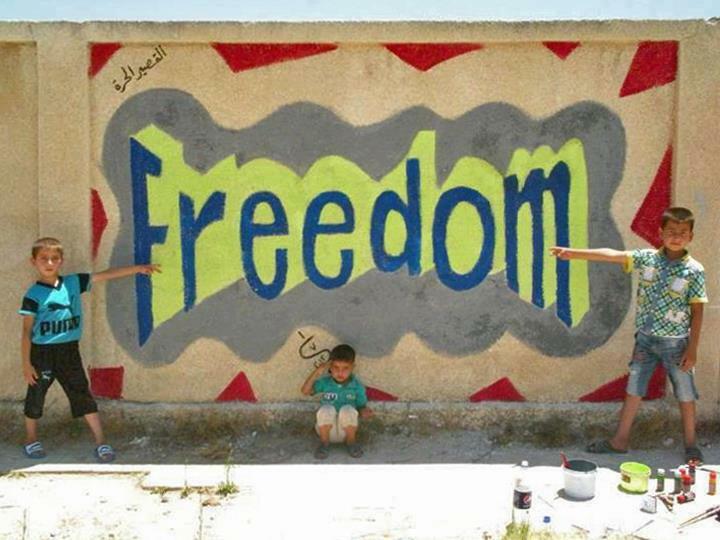 This entry was posted in Activism, Advocacy, Justice, Syria and tagged Graffiti. Bookmark the permalink.